The Unarchiver has its serving of well deserved love from users, bloggers and industry experts. See for yourself. macOS has long been able to uncompress zip files and some other archive types, using its built-in Archive Utility, but I’ve switched to The Unarchiver because it supports more formats and offers easier customization options. Using it feels like part of the macOS Finder, which is the other thing that makes it so great. 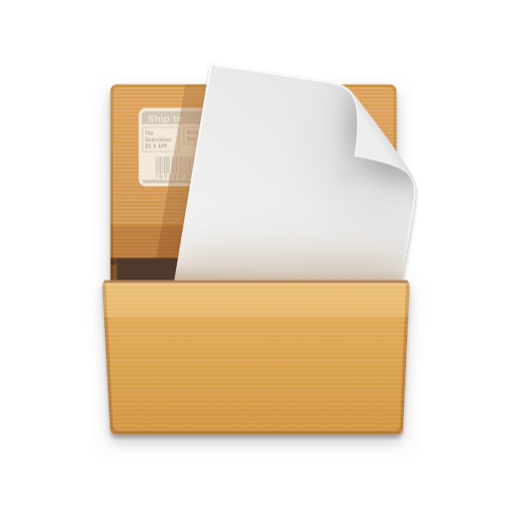 Basically, using The Unarchiver is like adding a much broader range of supported compressed file formats to your Mac. Not only did The Unarchiver extract all the files, it did so with alacrity. The Unarchiver is just as fast as Apple's built-in utility, only more capable. It's the Swiss Army knife of unarchiving programs and can handle pretty much any file, no matter how ancient, you throw at it... It's definitely worth having as one of your basic Mac utilities. The best thing here is that somebody put some thought in how to make unarchiving less of a nuicance... Definite five stars. If you are looking for an app that literally just unpacks the compressed files and then closes and leaves the files ready to be viewed in Finder, then this is the app for you... This app is really as simple as it should be. The Unarchiver also allows multiple files with the same password to be opened together while having to only input the password once... You'll save yourself time and frustration if you switch to this app. Every computer I have (that supports it) has this installed on it. It is literally the easiest way to extract practically any file archive you will ever come across... Huge thanks to the company... Their other programs are great as well. The Unarchiver will open an endless list of archives but it can do much more: extract files with non-latin encodings, broken files or multiple files with the same password. *4.5 - rating for all versions, based on 41 user reviews. Thank you for downloading The Unarchiver!